Happy new year of 1396 | Niloufar Photography | Exploring the beauty just around you! 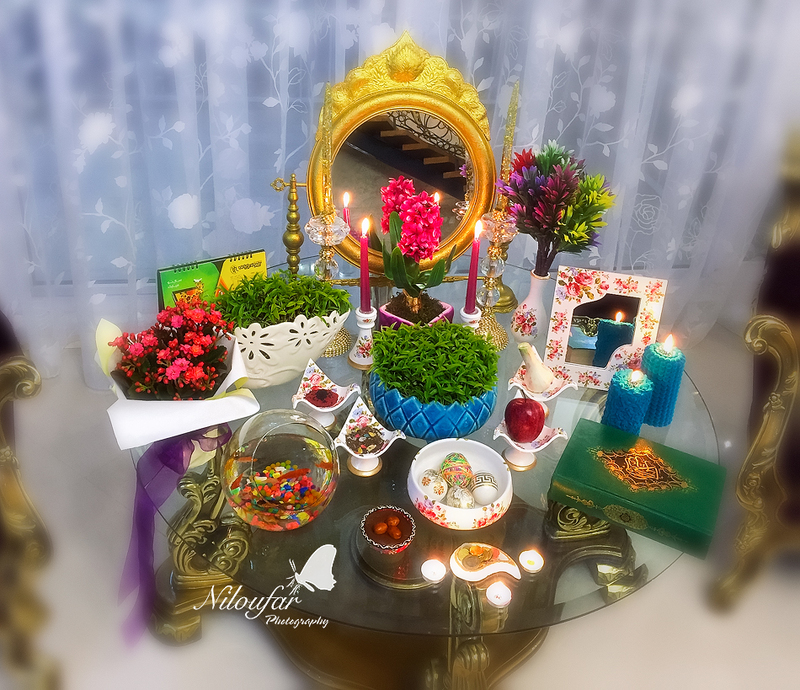 Nowruz (Persian: نوروز‎‎ Nowruz;literally “New Day”) is the name of the Iranian New Year, also known as the Persian New Year,which is celebrated worldwide by the Iranian peoples, along with some other ethno-linguistic groups, as the beginning of the New Year. It has been celebrated for over 3,000 years in Western Asia, Central Asia, the Caucasus, the Black Sea Basin and the Balkans.It marks the first day of the first month (Farvardin) in the Iranian calendar. Nowruz is the day of the vernal equinox, and marks the beginning of spring in the Northern Hemisphere. It usually occurs on March 21 or the previous/following day, depending on where it is observed. The moment the sun crosses the celestial equator and equalizes night and day is calculated exactly every year, and families gather together to observe the rituals. Although having Iranian and religious Zoroastrian origins, Nowruz has been celebrated by people from diverse ethno-linguistic communities for thousands of years. It is a secular holiday for most celebrants that is enjoyed by people of several different faiths, but remains a holy day for Zoroastrians.